A while back, I had a manicurist in the Bay Area I'd frequent from time to time. She was more pricey than most, but well worth it. You never questioned the sanitary nature of the tools she was using, and the entire experience was both dreamy and efficient. I lost track of her and hadn't yet found a replacement. Until now. 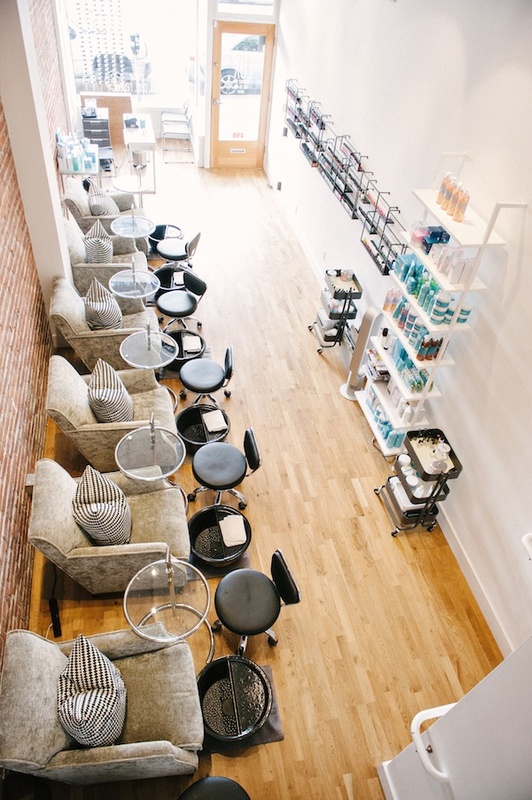 Recently, I frequented LUX SF, a newly-opened luxurious and eco-friendly nail salon in the Hayes Valley area of San Francisco. I tried out a DeLUX Manicure and DeLUX Pedicure and was thrilled with the experience. The owner of the beautifully designed salon greets all customers and discusses the benefits of using eco-friendly nail polish. He goes over colors and current nail trends with you and helps you pick out a color if you're stumped. I chose Rose Gold by RGB for my fingers and Oxblood by RGB for my toes. The results were stunning and the service was outstanding. Each DeLUX offering clocks in at a little less than an hour and the technicians working at LUX SF are superior in their skills. After spending almost two hours of bliss with scrubs, heated wraps, and arm and leg massages, I was relaxed for the entire day and I left with stunning nails that stayed chip-free all week. I can't recommend this place enough. Find LUX SF at 490 Hayes Street, San Francisco, (415) 225-4589.